Voila! For the first time ever, I'm doing a giveaway! After lots of illustrating, a couple of sleepless nights, a couple of re-designing (because of format and printer changing) here's my new baby. I'm so glad that I finally took the courage to make my very personal planner. My first intention was a Christmas gift for my close friends. And then a lot of people loved it, I've only managed to print 10 copies so far and they're gone like 10seconds. We are already midway through January, so for the giveaway, I'd remove January's weekly planners and replace them with a dotted grid for notes! Or well, the winner will be able to choose. If I leave it as it is, January weekly plan or dotted grid notes. I'm terribly sorry for my lateness, I wanted to do this in December, but well— vacation took up 26hours of my time everyday. Plus I think it's better for the winner to pick what he/she wants for January. This is an international giveaway, so where ever you are, I'd try to send it to you. Unless the post office says your address can't be sent. As I've mentioned, I'm super late, so the giveaway contest would be open for a week— Afterwards, the winner would be able to pick the cover. It's either White or Black cover. Pink and Navy Covers are specific limited editions and tough to reproduce! So unfortunately they wouldn't be available. Then there'd be another 3-4 days of production before sending them out. To the lucky winner, you'll bring home a copy. For the rest of my lovely readers (who stayed with me even after I went haitus for so long) would be able to order a copy, which would cost you 38€ (shipping fees included / wherever you are). It's 1000% designed and printed in Paris, unfortunately it's quite costly as I haven't been able to find a cheaper and reliable printer. 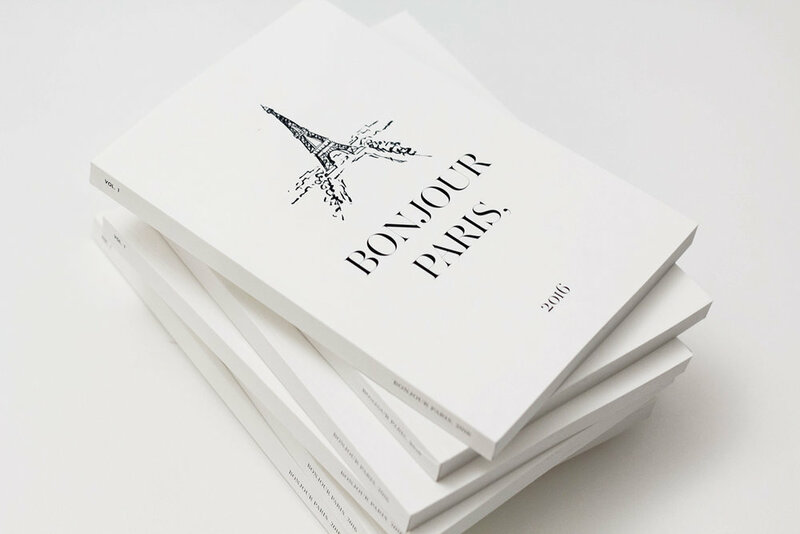 Over 200 little illustrations featuring Paris. I'm telling a little story based on my 2 years living in Paris. Pastries that I love, things that I like and places I usually hang out, well and plus a couple of compulsory touristic spots of course. 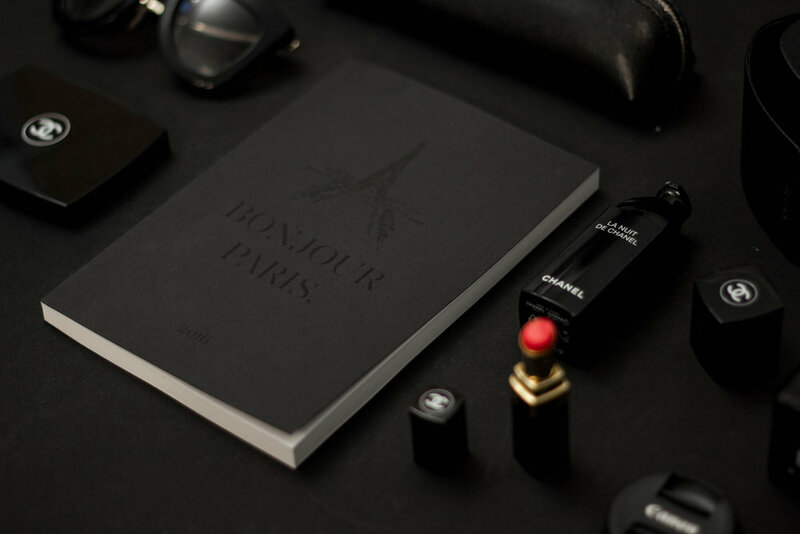 Put it another way, it's my little Parisian guide for you. Don't take it too seriously though, it's mainly for illustration purposes and random suggestions when I get too bored during the week! So then, good luck!! We'll see who's the lucky winner in a week's time!